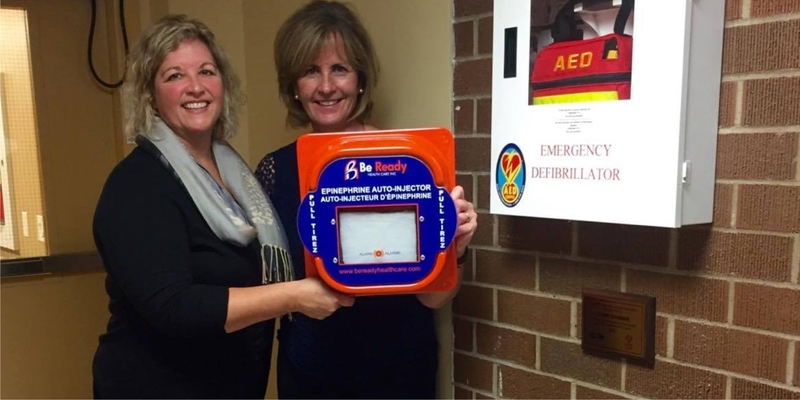 Epinephrine and Naloxone alarmed cabinets in public places save lives. 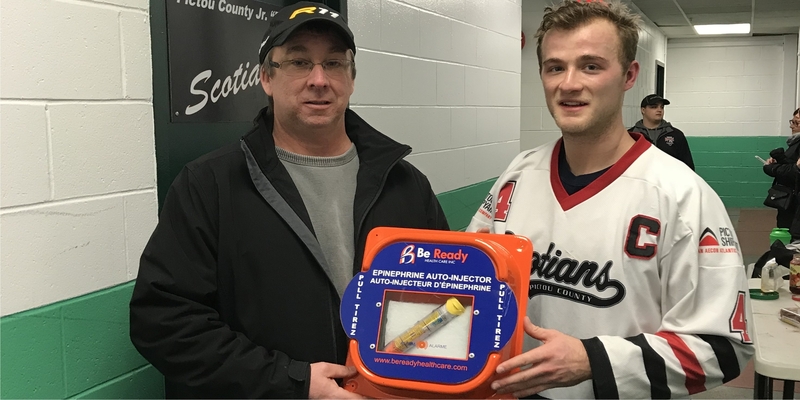 Our vision is to save lives in public places where severe allergic reactions or opioid overdoses occur by having quick access to proper treatment during these emergency situations and while awaiting emergency response personnel. Highly accessible, visible and centrally located treatment is key to saving lives in public and private locations. Be Ready Healthcare Inc. is located in Sussex, New Brunswick Canada. We are centrally located an hour or less to the three major cities in New Brunswick, Saint John, Moncton and Fredericton. Be Ready Health Care originated from an overwhelming response to a pilot project started in the Sussex and area in 2014. The pilot project saved lives and since that time there have been more lives saved by having publicly available epinephrine and naloxone. We are dedicated to helping people and places to continue to save lives. We have supplied over 400 alarmed cabinets to several communities across Canada and the United States. 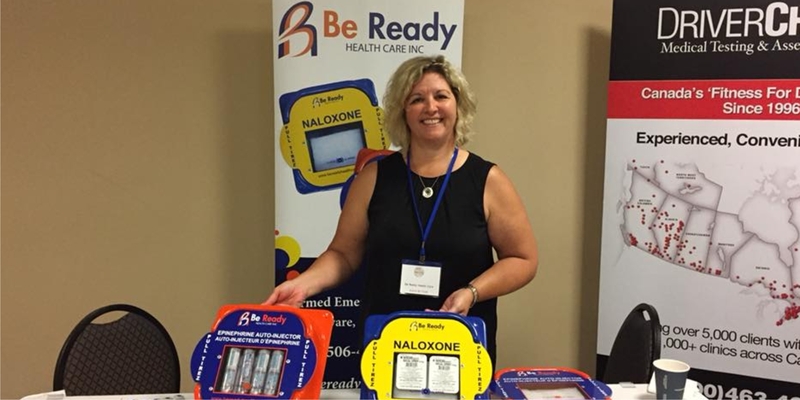 Multiple, various sites and businesses have recognized the importance of having publicly available epinephrine and/or naloxone. Schools, universities/colleges, restaurants, hotels, churches, fitness/recreational facilities/arenas, dental/medical offices, nursing homes, funeral homes and several private/public businesses. 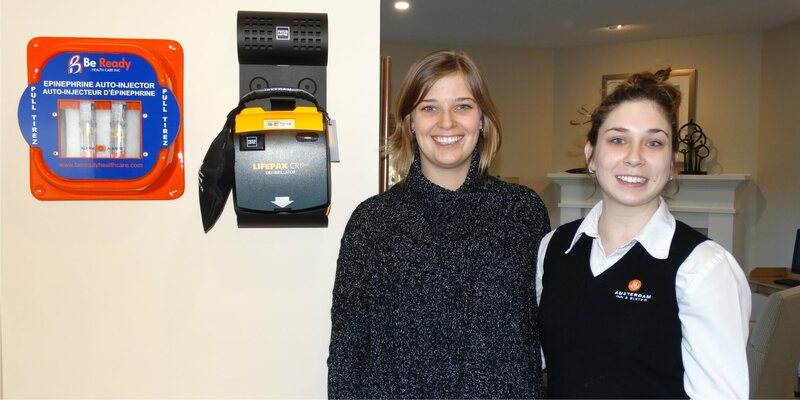 Our ultimate goal is to have publicly available epinephrine and naloxone available in a similar manner to Automated External Defibrillators (AED’s), First aid kits, fire extinguishers. Economic – An epinephrine auto-injector (EAI) or Naloxone is easy to use and secure. Individuals or others can administer epinephrine or naloxone with proper education. Two or more doses are often required depending on the severity of the allergy. 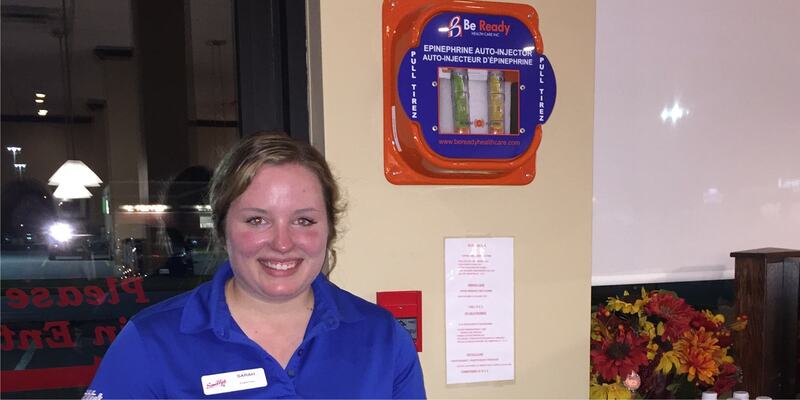 In Canada, epinephrine auto-injectors are available behind the counter from a pharmacist. Geographic – Time is of the essence. Seconds and minutes count with anaphylaxis or opioid overdoses. There are many rural settings and remote areas that have limited quick access to emergency services. Even larger cities do not always have quick access or response to these types of emergencies. Most deaths are associated with no administration or a delayed administration of epinephrine. In particular teenagers do not want to be identified or be seen as having allergies. They do not carry it with them and do not want to be seen as “different”. Many children and/or teens are experiencing allergy bullying. 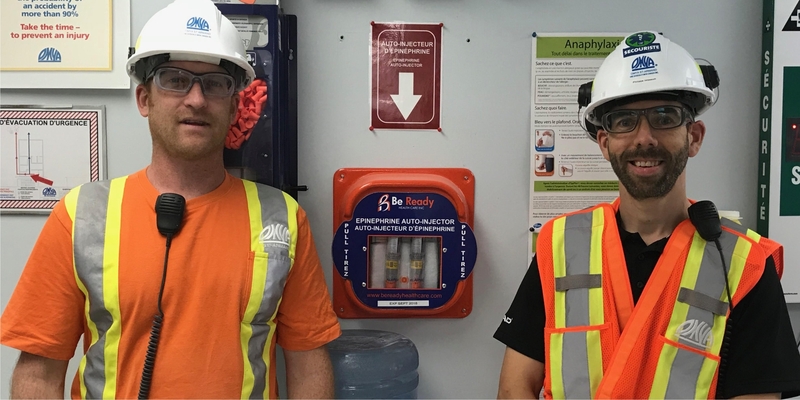 Having highly visible unlocked cabinets, centrally located and alarmed will increase accessibility and awareness during the very stressful times of a severe anaphylactic reaction.